GALION– The Galion Primary/Intermediate Parent-Teacher Organization (PTO) is hosting its first Tiger Dash on Friday, Oct. 12. After listening to the suggestions of parents, the PTO came up with the idea of the Tiger Dash, a fun run/fundraiser. “We also heard from parents that they were tired of the typical ‘big book’ fundraisers and we believe they will appreciate the simplicity of the run,” said outgoing PTO President Teresa Troiano. Since no fundraising company is involved, funds go straight to the PTO for various activities such as playground equipment, Reading Counts prizes, assemblies, and many other activities. Kids took pledge sheets home and were tasked with a goal of raising $30 each. If that goal is met, there will be no need for any further PTO fundraisers this school year. Out-of-town family and anyone wishing to use a credit card may use PledgeStar online. Otherwise, cash and check donations may be made on the pledge sheets, which are due Oct. 10. 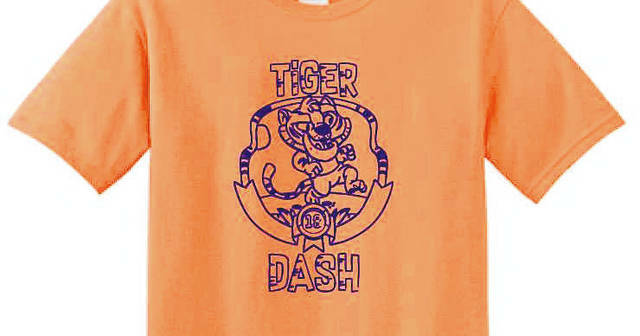 The Tiger Dash is during the school day on Oct. 12, at Heise Park Stadium. Every child in the Primary and Intermediate buildings will be wearing shirts donated by numerous area businesses, including BellStores, Avita Health Systems, Donley Ford, Erlsten Syrup, Carter Electric,and MyPro. Due to safety concerns, parents are not allowed to go to the stadium to simply watch, but more volunteers are needed to help with the event between 8:30 a.m. and 2 p.m. For more information about this special event, please visit the Galion Primary/Intermediate PTO Facebook page at www.facebook.com/galionpto.